Blues guitarists Tommy Castro and Johnny A. will perform Sunday night at the Fairfield Theatre Co.
Spring arrives this weekend, promising a seasonal boost from what has been a miserable winter hereabouts. So put some spring in your step and get out to enjoy some of the things that this Fairfield weekend has to offer. Calling all fiscal watch dogs. It may not be the most enjoyable way to get the weekend under way, but it radiates civic virtue -- and self-interest, for that matter. The annual joint budget hearing staged by the Boards of Finance and Selectmen -- a sobering ritual of spring -- starts at 9:30 a.m. in the Fairfield Senior Center on Mona Terrace. It's for all you taxpayers who can't get to the usual nighttime sessions of the budget-approval process and want to make your voices heard on the $264 million spending package for 2011-12. But bring a canteen of coffee. A more appealing harbinger of spring, as surely as Sunday night's solstice, is the annual Garden Expo, which sprouts this weekend at Fairfield Ludlowe High School. The event, which benefits the Mill River Wetlands Committee's River-Lab environmental education program, encompasses a fertile range of all things green and garden-y. It takes place Saturday from 10 a.m. to 5 p.m. and Sunday from 10 a.m. to 4 p.m. at the high school, 785 Unquowa Road. Admission is $8 for adults and $5 for children and senior citizens. For more information, visit www.thegardenexpo.com. It's the next-to-last act for Harry Potter and friends, and it unspools this weekend at the Community Theater in downtown Fairfield. "Harry Potter and the Deathly Hallows -- Part I," chronicling the start of Harry & Co.'s final showdown with evil Lord Voldemort, screens at 1 and 4 p.m. Saturday at the theater, corner of Post and Unquowa roads. For information call 203-255-6112 or check http://communityfilm.org. Diagonally across the Post Road on Sunday, the Fairfield Public Library offers a scary film of a different sort. Under the umbrella of the "One Book, One Town" community reading program, the documentary, "Super Size Me," will be screened at 2 p.m. In this personal exploration of the fast-food industry, filmmaker Morgan Spurlock records the consequences on his health of a month-long diet consisting solely of McDonald's foods. The free flick will be shown in the Rotary Room of the library, corner of Old Post and Post roads. 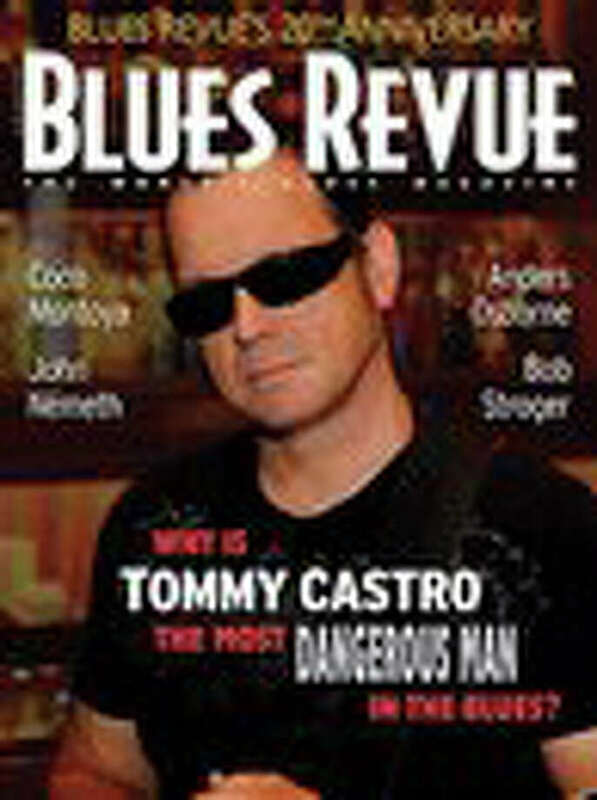 Though blues guitars may not be everyone's idea of the best way to herald Sunday evening's spring solstice, those partial to that notion can stop by the Fairfield Theatre Co. for a program featuring just that: Blues "guitar wizardry," as the promotional materials call the performance by Tommy Castro and Johnny A. (yes, just Johnny A.). Show time at the theater, 70 Sanford St., is 7:30 p.m. (doors open at 7). Ticket prices are $35 ($5 off for theater members). Call 203-259-1036 or check http://fairfieldtheatre.org.